Smaug the Dragon left his horde of treasure to attack Laketown; although he left the city in ruins, he was killed. Now, his treasure lies unguarded. Three armies – dwarves, elves, and men – move to lay claim to it, while two armies of orcs move in, desirous for the blood of the others, and desiring to have the mountain in which the treasure is stored, because of its strategic importance for future invasions. 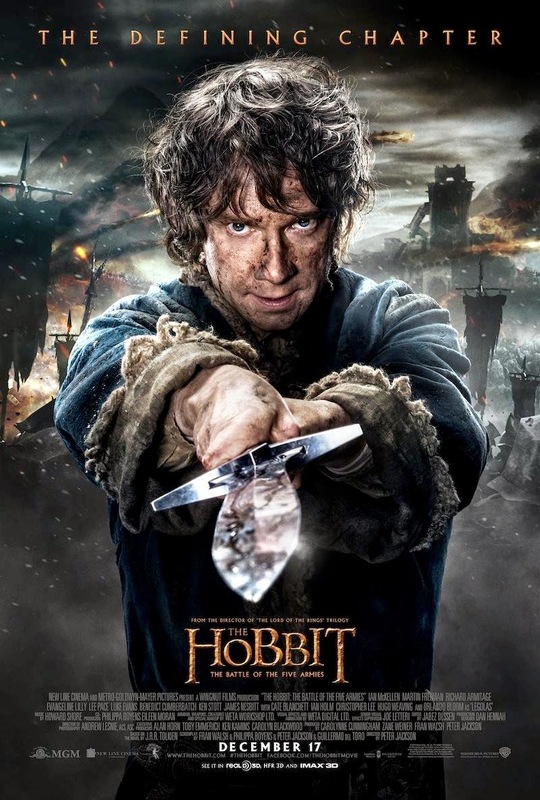 Bilbo Baggins continues his journey, far from home, with a company of dwarves who were once strangers to him, but who have now become family. The theme of not taking vengeance seems to be showing up in a lot of movies I’ve reviewed recently. It’s here, too. Bard stops his community from mobbing a crooked public servant. As Bilbo prepares to leave the company of the dwarves, he reveals that he carries an acorn from a significant place among their journeys. He plans to plant it in his own garden, and says, “One day it’ll grow and I’ll remember everything that happened, the good, the bad, and how lucky I am to have made it home.” I really loved the thought. 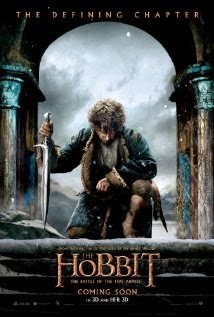 Bilbo is willing to sacrifice much in order to save the dwarves. 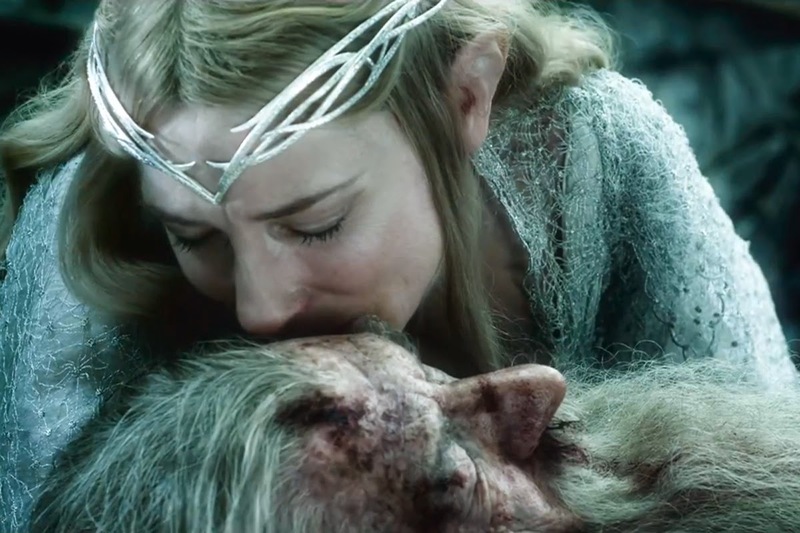 As could be expected from the title (The Battle of the Five Armies), there’s a lot of violence in this one. Some viewers have described it as a movie-length battle sequence. There are beheadings, scenes of children in peril, and the on-screen deaths of several loved characters. One scene seems to have some trigger potential for both kids and parents who have suffered loss. The dragon has cornered a man and is son. He threatens the man, “Is that your child? You cannot save him from the fire. He will burn.” Although the man does successfully defend his son, the scene might seem too intense to viewers who’ve experienced loss or threatened loss of a child. There’s enough violence in this film (some of it involving children) that makes it likely to be a poor choice for young children, and for other viewers with pronounced history of exposure to violence. It could be a good fit for parents and for teenagers – especially reflective teenagers who might join with Bilbo in remembering where they’ve been, where they are going, and how far they’ve come. Bilbo will plant a tree to have a physical reminder of people he’s journeyed with. What can your family use as a similar reminder? Good review Addison. A solid end to a trilogy which has, for the most part, been fine.